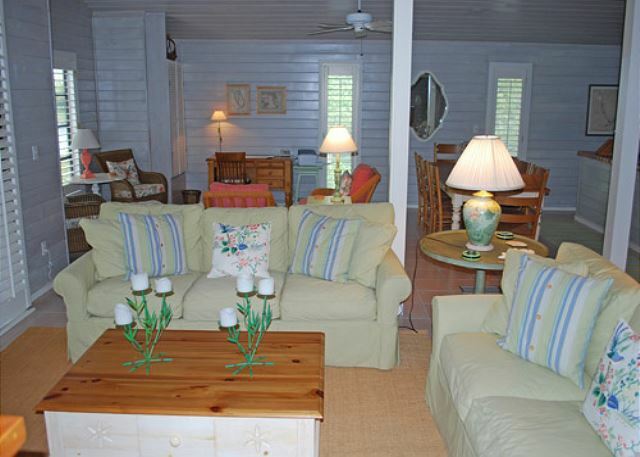 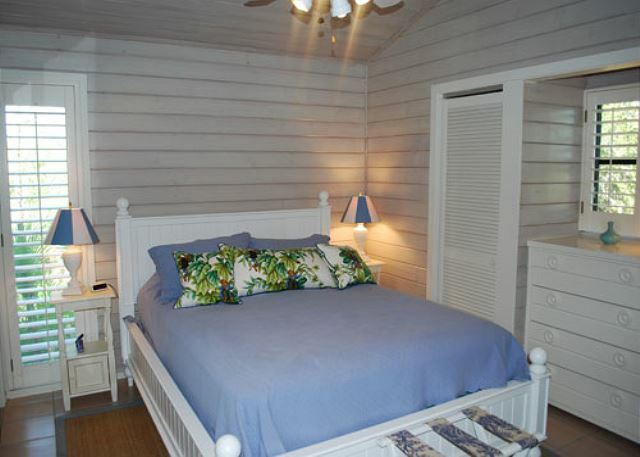 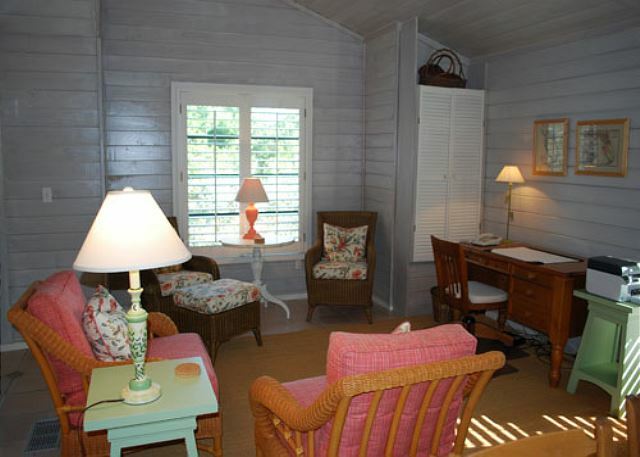 Silver Leaf Cottage is a charming 3 bedroom, 2.5 bathroom cottage-style home situated amongst tropical foliage, a freshwater pond and delightful shade trees in the Gulf Pines community. 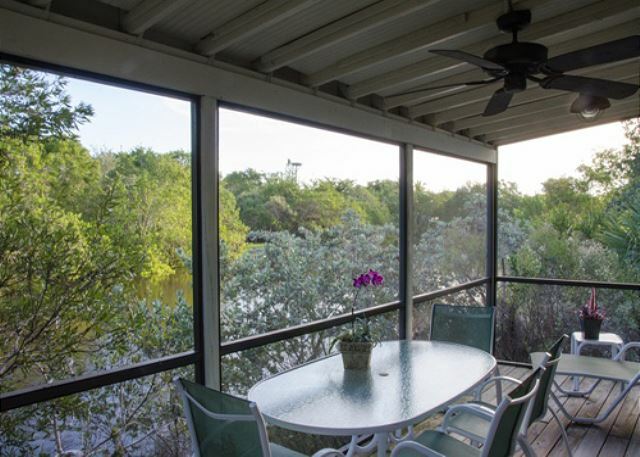 You may decide to take a walk across the wooden bridge, which leads to the community pool and grills, or linger on the screened front or back lanai while taking in the exceptional variety of bird life. 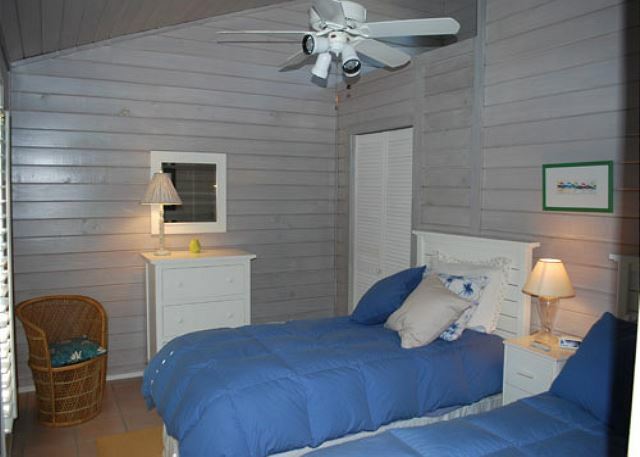 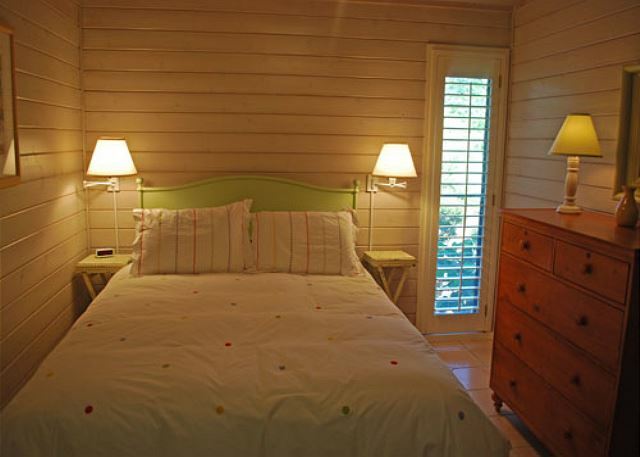 From the home, there is just a short stroll to a beautiful Gulf beach, community pool and tennis courts. 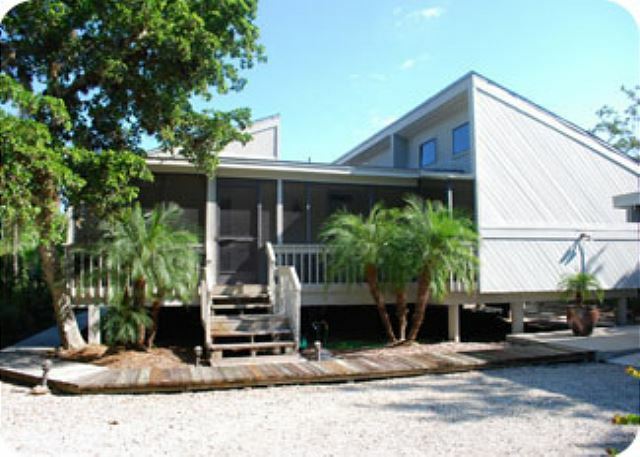 Additional amenities include: 2 bicycles, beach equipment, outdoor shower, grill, washer/dryer, high speed internet access and free long distance to the US & Canada.